Red isn’t new but this season it’s definitely leading the pack. 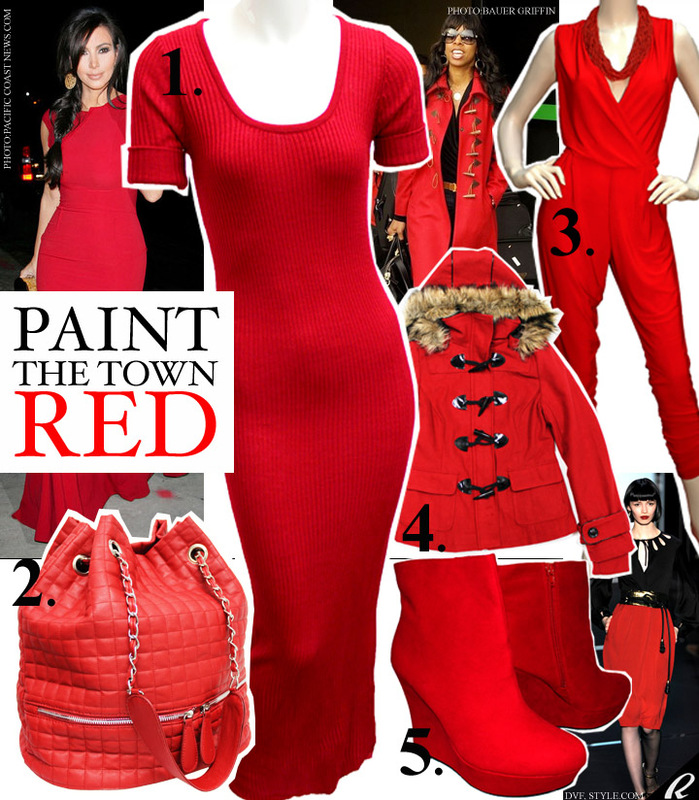 Red has been popping up everywhere from the Fall 2011 runway shows to recent celebrity sightings. Here are five pieces $30 and under that will freshen up your wardrobe. 1. Knit Maxi Dress, $16.99; 2. Quilted Chain Strap Bucket Bag, $24.99; 3. Plunged V-neck Jumpsuit, $23.97; Beaded Necklace, $8.99. 4. Fur Trim Toggle Coat, $24.99. 5. Suede Wedge Boots, $29.99.